The long-term follow-up data have clearly demonstrated that the results of laparoscopic and open retroperitoneoscopic radical nephrectomy are comparable (Table 3). The largest series to date was published by Saika et al. and showed that the five-year disease-specific survival was 94% in 195 patients treated with either a transperitoneal or a retroperitoneal laparoscopic radical nephrectomy for pathologic T1 renal cell carcinoma (19). Portis et al. (17) and Chan et al. 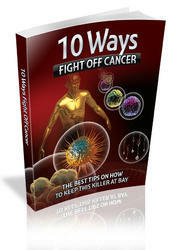 (18) reported the five-year cancer-specific survival to be 98% and 86%, respectively, in smaller studies. The five-year disease-specific survival rate in two contemporary studies that examined the oncologic outcome after the traditional open nephrectomy for T1 renal cell carcinoma was 83% and 94% (27,28). Laparoscopy does not compromise oncologic outcome as long as the principles of surgical oncology are strictly followed. Overall, it takes longer to complete laparoscopic radical nephrectomy than open radical nephrectomy. However, laparoscopy groups tended to have smaller estimated blood loss, shorter length of hospital stay, and lower amount of analgesic use. There are cosmetic advantages to laparoscopy; it was recently reported that a flank bulge following a standard flank incision was detected in almost 50% of patients. In the literature, there are four cases of port-site seeding that have been reported after a laparoscopic radical nephrectomy for renal cell carcinoma; three cases involve morcellation of specimens and one case involves a recurrence at a hand-port site. In 2000, Fentie et al. reported the first recurrence in which the patient had a large Fuhrman grade IV/IV tumor, with sarcomatoid features (29); the specimen was entrapped and morcellated in a LapSacc. The authors noted that there was no leakage of contents from the sack during the fragmentation procedure. Castilho et al. reported the second case in 2001 (30). In this case, the surgical team used a plastic entrapment device for intraabdominal morcellation of a Grade II, T1 renal cell cancer in a patient with ascites. These same authors also reported the third occurrence in a letter to the editor, again in a Grade II, T1 patient (31). 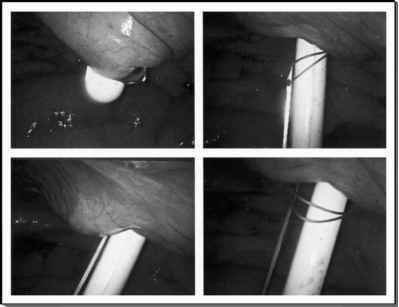 These last two cases demonstrate the dangers of morcellation in patients with ascites and of intra-abdominal morcellation in non-nylon re-enforced plastic sack. It is noteworthy that there has been not a single case of seeding noted in the Johns Hopkins, Washington University, or University of Nagoya experience despite over a decade of laparoscopic radical nephrectomy at all three institutions in more than 300 patients among whom the majority had the specimen entrapped and morcellated. ■ Only a LapSac should be used, specifically for intra-abdominal morcellation, because it is constructed of a double layer of plastic and nondistensible nylon that is impermeable to bacteria and cells (33). ■ The surgical team must be vigilant in monitoring the pneumoperitoneum and LapSac during morcellation; the entire process must be done under endoscopic control and any leakage seen from the sack should prompt immediate enlargement of the incision and intact removal. The lone case of hand-port site metastasis occurred in a patient with a 10 X 7 cm pT2 Fuhrman grade 3 renal cell carcinoma where the surgical team extracted the specimen without entrapment through an 8-cm midline incision (15). This report shows the potential danger of extracting unentrapped specimens. Indeed, in the editorial comment immediately following the aforementioned report, Nakada suggested that an entrapment sack be used to extract all tumor-bearing specimens after hand-assisted laparoscopic radical nephrectomies (34).